The first quarter for Bollywood is traditionally a weaker one; however, this time the outlook was optimistic, given the slew of topical films set for release in the light of the upcoming general elections. Starting with Uri, which recounted the surgical strike conducted by the Indian armed forces, to biopics on political stalwarts like Balashaeb Thackeray and former prime minister Manmohan Singh, Bollywood had ample to offer. However, a look at the box-office collections of the various political/nationalist-themed movies proves something that experts from the film trade have been observing over the past few years. In this age of social media reviews and increasingly content-conscious cine-goers, just releasing a topical film does not work. 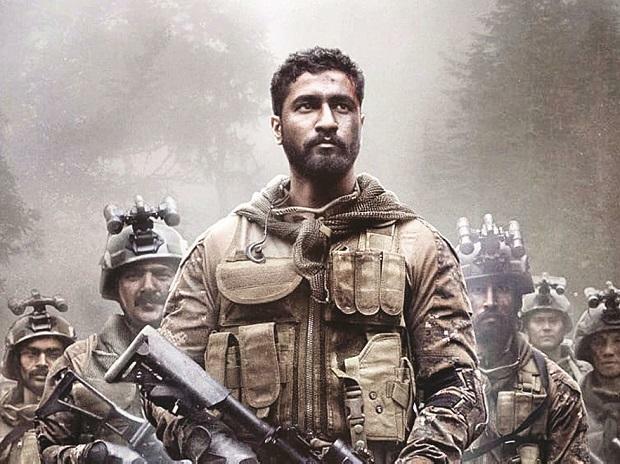 While Uri hit the mark with its offering, becoming the first superhit from the Bollywood stable in 2019, others like The Accidental Prime Minister and Manikarnika failed to impress. Vicky Kaushal-starrer Uri, was one of the first releases of the year and hit the screens on January 11. It is still running in theatres, a rare feat for a movie that released more than eight weeks ago (the typical lifetime of a Bollywood film is six to eight weeks). It has so far collected Rs 240 crore (net of taxes), a massive collection, given that its production budget was Rs 45 crore. The film has not only broken even at the domestic office, but managed to earn nearly Rs 200 crore in profits at the box office. Other films like Manikarnika managed to nearly hit the Rs 100-crore mark (it has made Rs 94 crore so far), but being saddled with huge production costs (reported cost of production is Rs 100-110 crore), it failed to book profits. On the other hand, films like Thackeray and The Accidental Prime Minister failed to impress audiences enough to garner the footfall required to book profits. “With the video streaming boom, audiences have ample choice of content. Just releasing a topical film will not work. Script, production quality, and intelligent marketing, not to mention budgeting, are still important for the success of a film. A look at the winners and losers tells us that the topic of the film is but one factor in ensuring success, whatever the socio-political environment in the country may be. Good content has more or less managed to fill theatres, no matter the theme of the film,” says an executive from a cinema exhibition chain. The latest film in the ‘India’-themed releases is Akshay Kumar-starrer Kesari , which premiered on March 21, a holiday on account of Holi (and Navroz). The film started its box office campaign with a healthy Rs 21-crore collection, the highest for a Bollywood film in 2019, and is expected to perform well in the coming few days. Made at an estimated Rs 80 crore, it tells the story of the Battle of Saragarhi, fought in 1897. The film has collected Rs 57 crore in the first three days of its box-office journey. The next similar offering is the Vivek Oberoi-starrer PM Narendra Modi, slated for release on April 5. The film is directed by Omung Kumar (Mary Kom and Sarabjit), and also stars Boman Irani. This is perhaps the first time a biography of a sitting prime minister is being made, and the release is slated a mere week before the Lok Sabha elections. The trailer was released late last week, and met with trolling on social media. Whether the film will make a dent at the box office, remains to be seen. However, the release may have to be delayed since competing political parties of the Bhartiya Janata Party (BJP) have raised objections to the release of the film so close to the polls. Other hits of the year include a variety of films from Zoya Akhtar’s Gully Boy (Rs 139 crore), romantic comedy Luka Chuppi (Rs 86 crore), and Amitabh Bachchan-starrer thriller Badla (Rs 67 crore). All these films were made at modest budgets ranging from Rs 20 crore to Rs 40 crore. Among the Hollywood releases (there have been two significant ones so far) January release Bumblebee failed to make waves, but Disney’s Captain Marvel has done well, collecting Rs 74 crore since its release on March 8.